Disclaimer: This is a sponsored campaign with Mums the Word Network and Chalk Preschool . All opinions are my own. 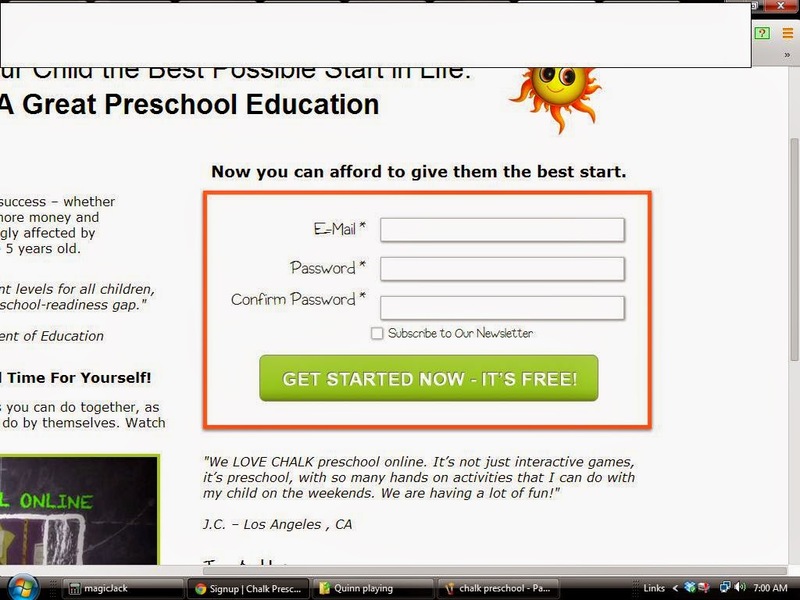 Chalk Preschool is an online preschool. 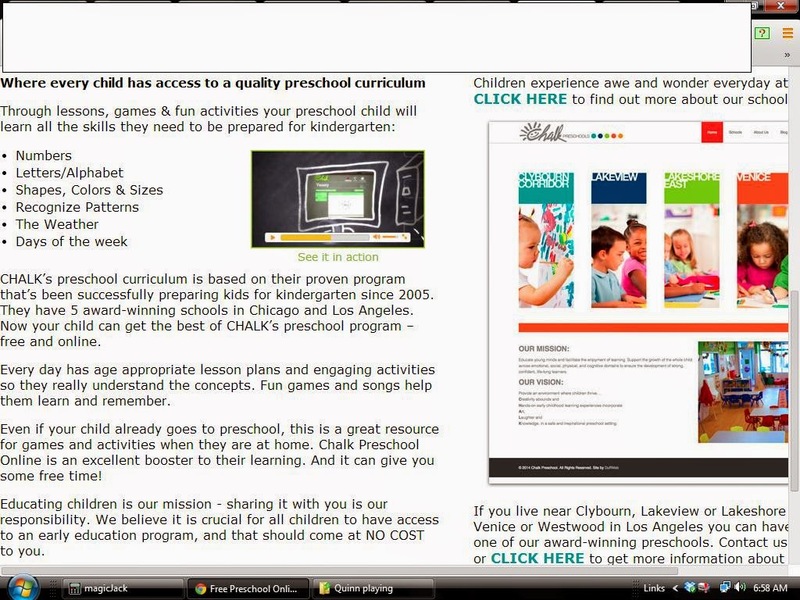 Its a free online preschool filled with activities to keep your child busy and learning. The classes are engaging and teach young ones lots of new and exciting things. As a mom, I enjoyed and loved that the lessons and videos were designed for my child’s age. Quinn is only 3 so he needs something that isn't too hard, but at the same time isn't so easy he loses interest. Chalk Preschool was perfect. It was always changing things up. OH and did I mention it is beyond easy to sign up! This is a fun way to give your little one a head start with free online preschool activities!